Hard to believe that November is drawing to an end. I can see signs of fall ending all around me. 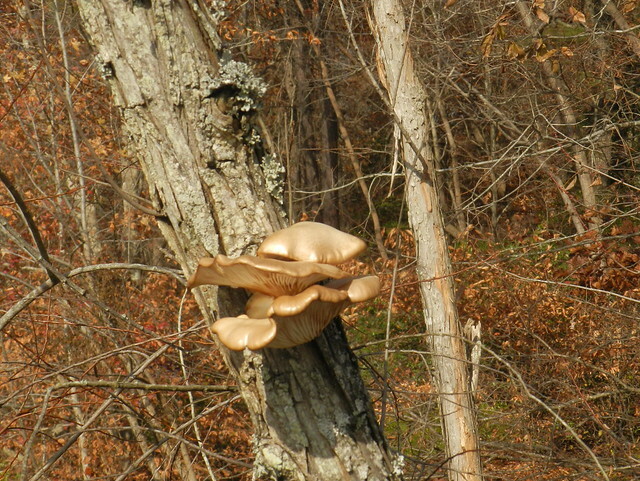 I love the way these mushrooms are growing so bright and shiny against the tree. I don't think I've ever seen so many cormorants together at the lake like this. Now that most of the leaves have dropped it's easier to spot the birds in the trees and I like the way the evergreens behind them make a nice backdrop. 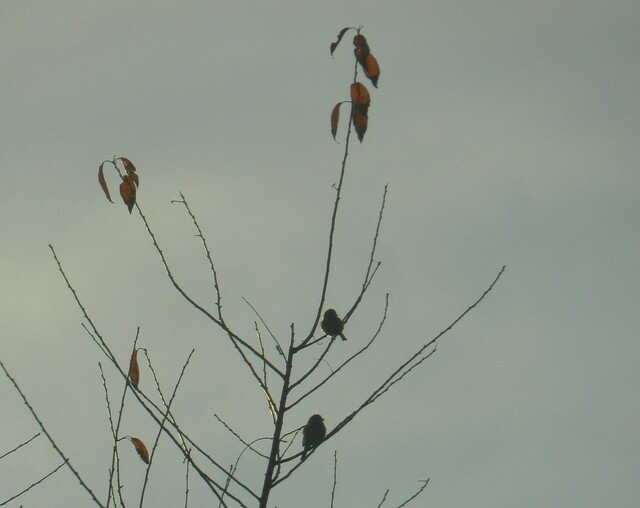 I thought I was only photographing a few leaves hanging on the tree below but after downloading realized that two of the leaves were actually little birds. 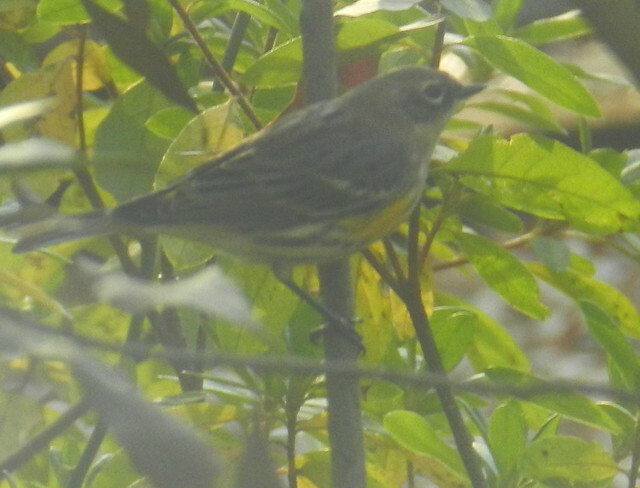 The warbler was hiding in a bush below. 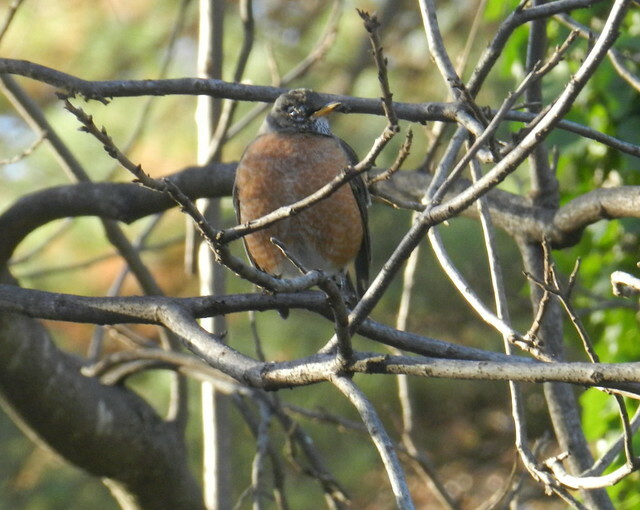 There were lots of American Robins in the trees and I photographed the one below in my pecan tree. My oak trees are the only trees in my yard that still have leaves but they are dropping pretty fast (I took the shot below mid week). 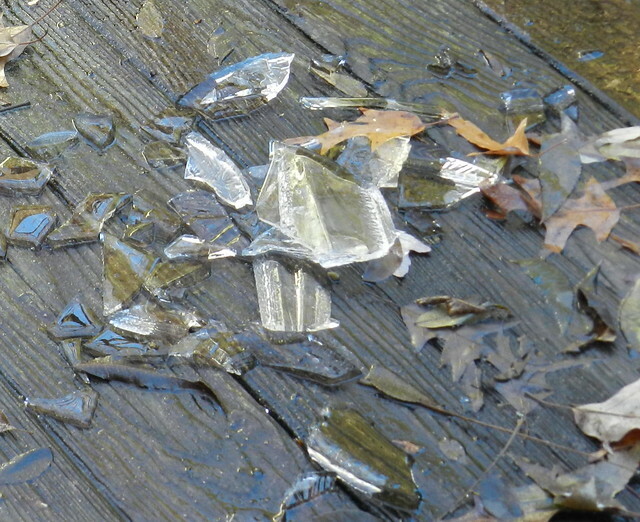 I think the ice I knocked out of a bird bath below looks like broken glass. December already! How swiftly the days flow … one into another. 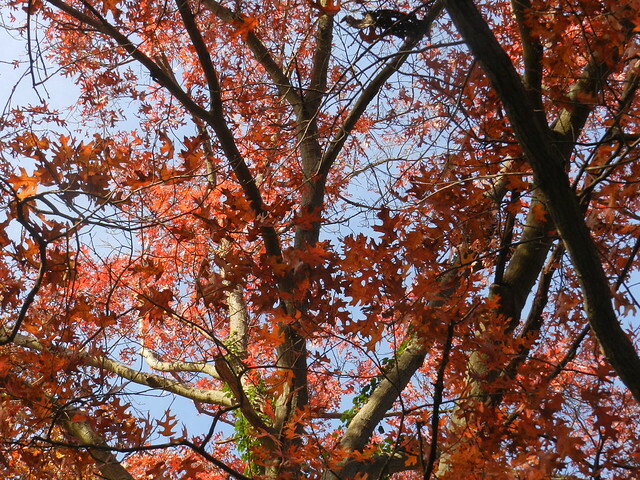 How fortunate you are to have such marvelous trees transforming with the seasons all around you. Time does indeed fly these days and the older I get the faster it goes!! Beautiful captures as always and such a great variety!! Hope you have a great week, Carver! Enjoy! Great nature photography of Mother Nature's gems! I love the second image. 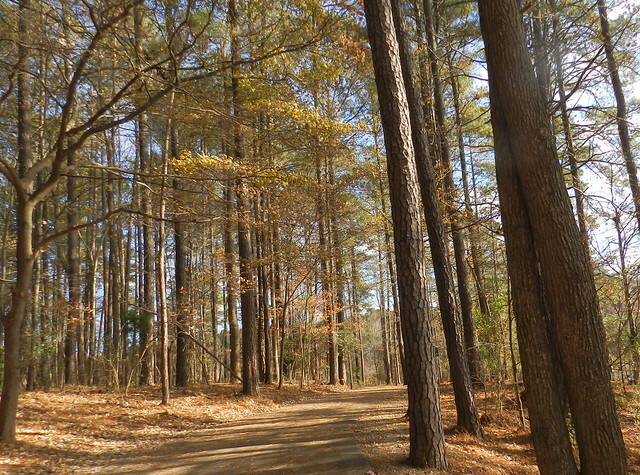 I love the woods, it's so calming. Yap I agree with you, this year just flew by again. fall seems to have gone by so fast as has this year. 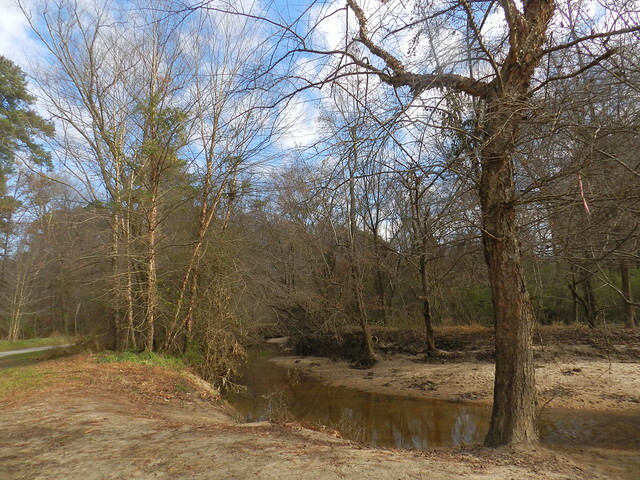 Yes the biggest advantage of the bare trees is being able to see the birds more clearly. Looks to me like fall has been lovely there, Carver. I'm another one who thinks this year has passed quickly! I looked at the ice shards and thought you broke something, like glass wind chimes. I have one and it makes the prettiest sounds. Lovely fall photos. Lovely pictures. My favourite is the one with the red birds in the tree! there are certainly a lot of birds there, don't birds fly south for the winter? I guess not all birds do that. nice captures, hope you are enjoying your day. I saw many cormorants in Australia, and I like your trees. I love finding surprises when I download (like your tiny birds among the leaves). Your yard is beautiful in any season, at any temperature. 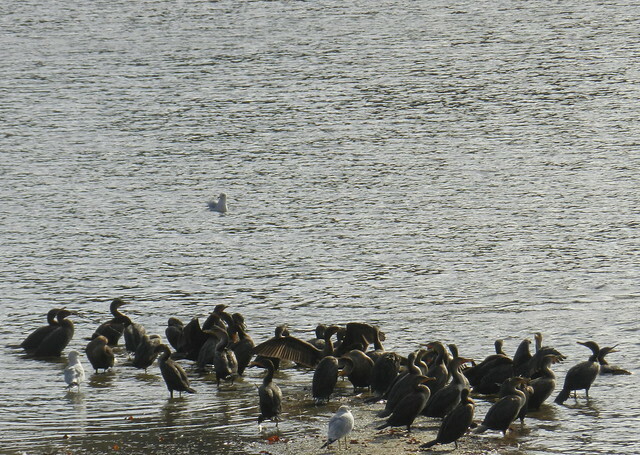 And that was quite a cormorant convention at your lake... I've never seen that many at once either, tho' we see them on both sides of the country. Back in florida now and catching up with my favs. I'll get back to blogging next week I hope. That ice is really cool. Nice fall leaves too. Love how you are spotting more birds because the leaves are falling off the trees. 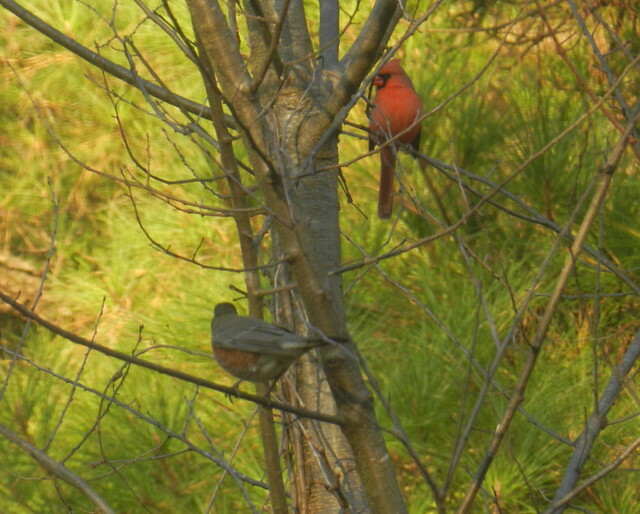 I do have a special fondness for cardinals especially.